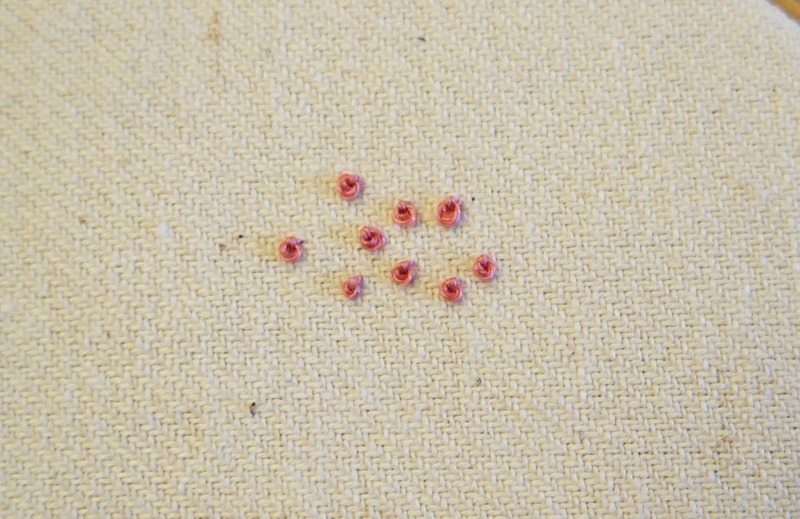 The French knot is a funny little stitch that can be used to add a different sort of texture to a piece of embroidery. My favourite way to use them is as blossom, but they can be used whenever a round stitch is called for, but a woven wheel would be too big. The stitches can be pulled tight or left a bit looser. 1. Bring the thread through to the right side of the fabric. 2. 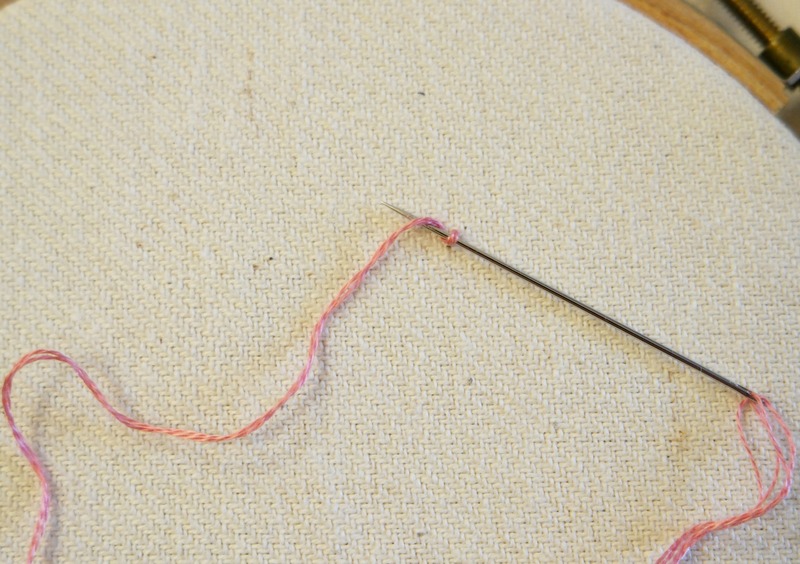 With the point of the needle close to the base of the thread, wrap the thread around the needle a couple of times. 3. Pull the thread so that it is fairly taut. 4. 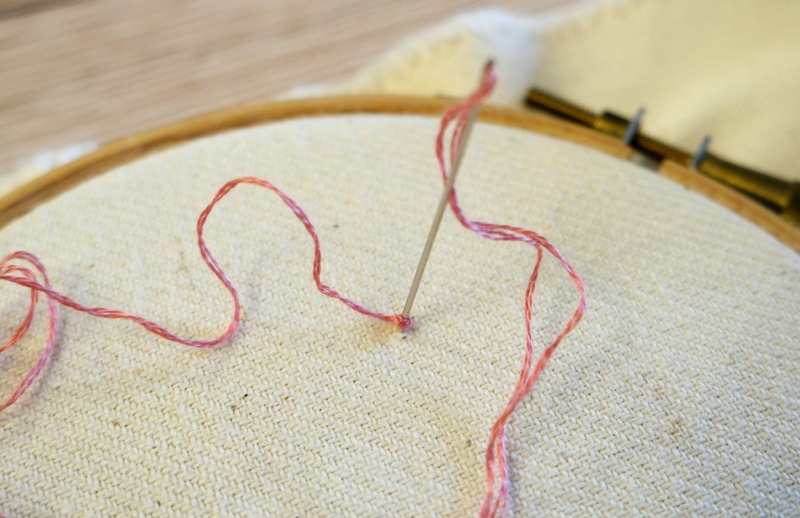 Take the needle through the fabric to the wrong side, close to where you brought it through originally. 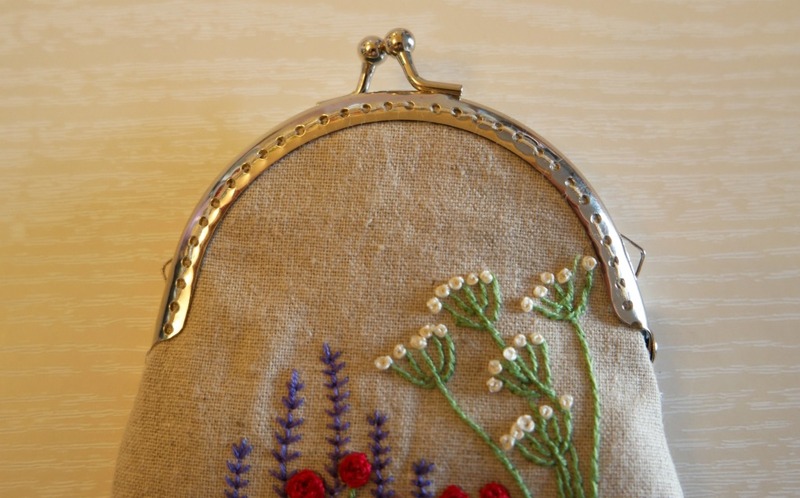 Be careful not to put it through in exactly the same place, or your French knot will disappear! 5. 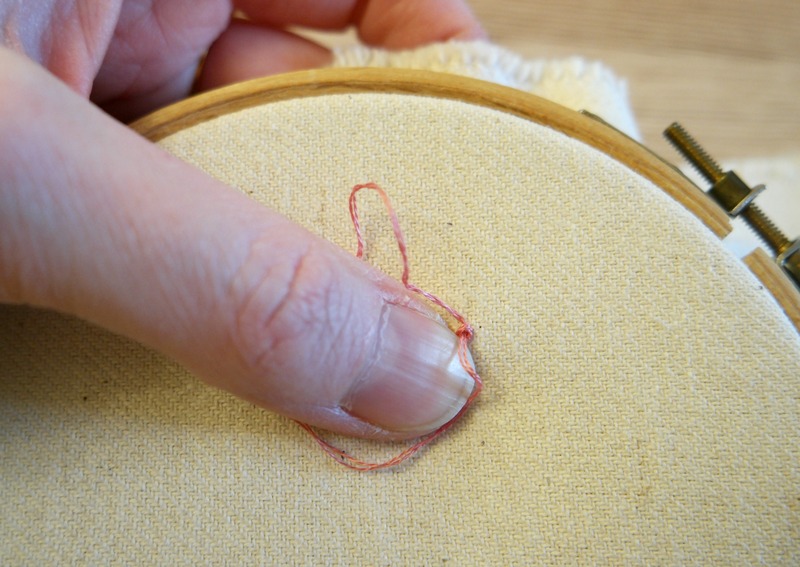 Keep your thumb on the knot while you pull the rest of the thread through.